Quebec winters tell the tale of massive snowfalls, cutting winds, biting cold and freezing rains. Who better than a Quebec company to counter the capriciousness of Old Man Winter with perfectly tailored jackets? Inspired by the icy landscape of their birthplace, those behind Quartz Co. offer performance wear with class and style. The entire Quartz Co. line is made for you in Quebec with its unforgiving weather in mind. Influenced by the tastes, needs and environments of an emerging generation, Quartz Co. launched their Edition Collection this year, bringing a modern look to classic styles. All jackets in the collection shed water and come in a variety of contemporary cuts and colours. Discover the Aris, Maguire, Ajna, Salome and Lutse, the children of the Edition Collection, as well as a hold-all tote and down-filled scarf to round things out. 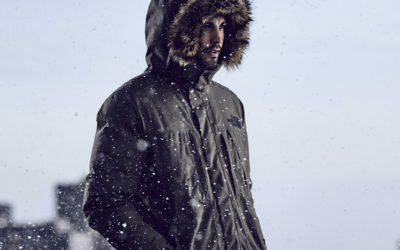 The Aris down jacket is suited to any occasion. Quiet distinction best describes her knee-high drop and slightly cinched tailoring, with unrestricted roominess. A savvy blend of warmth and style, she’s insulated by Canadian duck down with a 650 fill power rating, cozy-warm to minus 30°C. 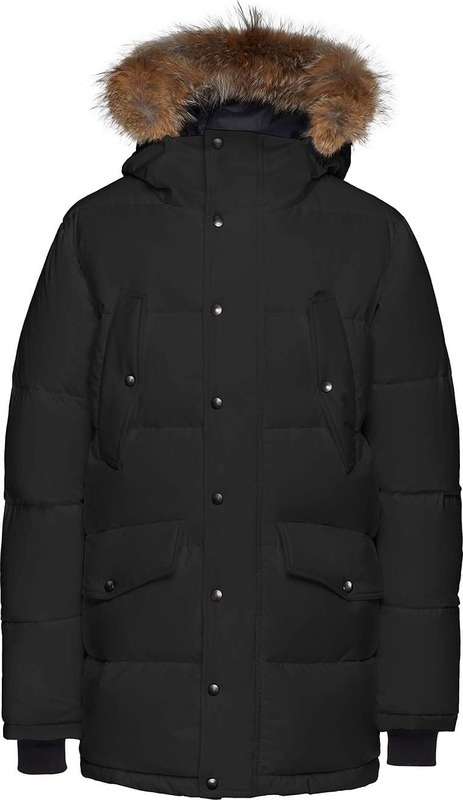 Fleece-lined pockets, storm cuffs, and a removable fur trim all work to keep heat in and cold out. Aris gives the functional urban lifestyle a touch of grandeur. 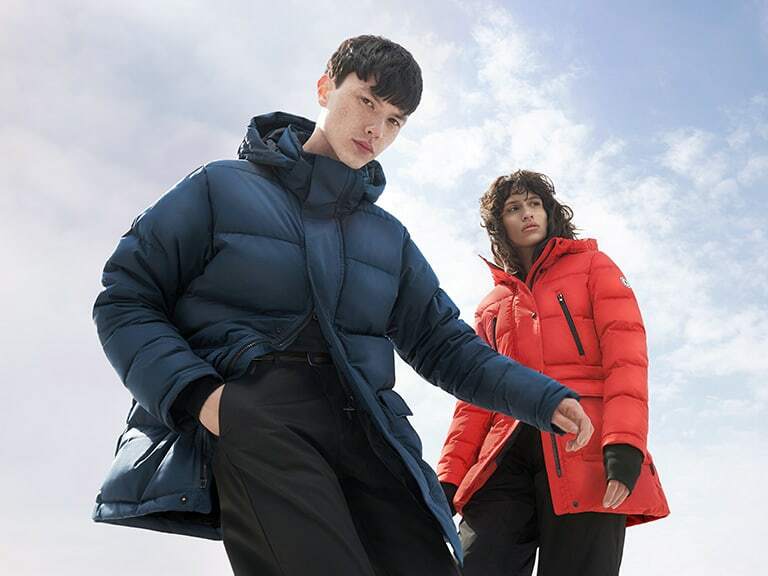 Puffy winter jackets are back in, and Quartz Co. is ahead of the style curve with the Maguire, the high-end urban baffled jacket you’ve always wanted. The look is impeccable and more than skin-deep. Maguire offers men all the protection of an alpinist’s garb. Detach the hood for a different look. The generous 650 fill power Canadian duck down insulation is nestled in a water-resistant shell that is breathable, keeps you dry, and comfortable at the lower end of the mercury. Salome is the sister garment to Maguire. With the same generous insulation, she cinches at the waist for an haute-couture profile. 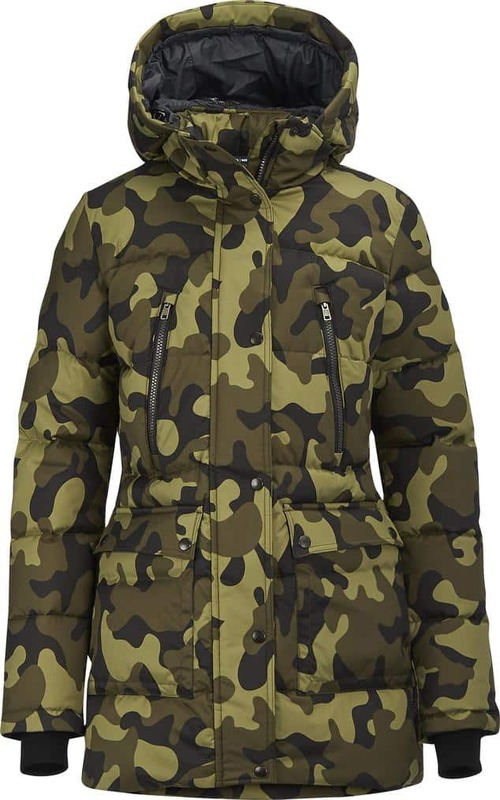 Warm, chic, comfortable, she’s your best friend against frigid squalls and storms. Those with an eye for detail will appreciate the 650 fill power Canadian duck down padding, insulated hood and contrast front zip pockets. Salome brings technical mountaineering to the streets with confidence and panache. The Ajna has been dubbed the Canadian kimono by its creators. A longer tailoring and semi-slim fit still offers superior warmth and protection. Ajna goes with anything underneath, from evening wear to fashionable jeans. 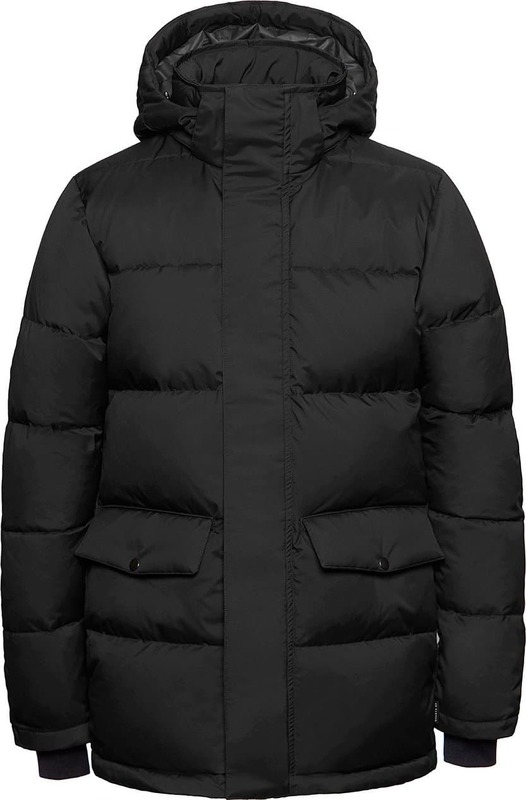 She sports a removable fur collar, fleece-lined pockets and a two-way YKK front zipper for flexibility. Truly a coat for anything weekends might throw your way. No-one wants to feel constricted in their down puffy, especially as trends swing toward looser fits. This makes the Lutse a fortunate arrival on the scene, with a semi-slim cut yet ample silhouette as much for comfort as a herald of the modern. Attach the fur collar and you feel the spirit of the great arctic expedition coats. 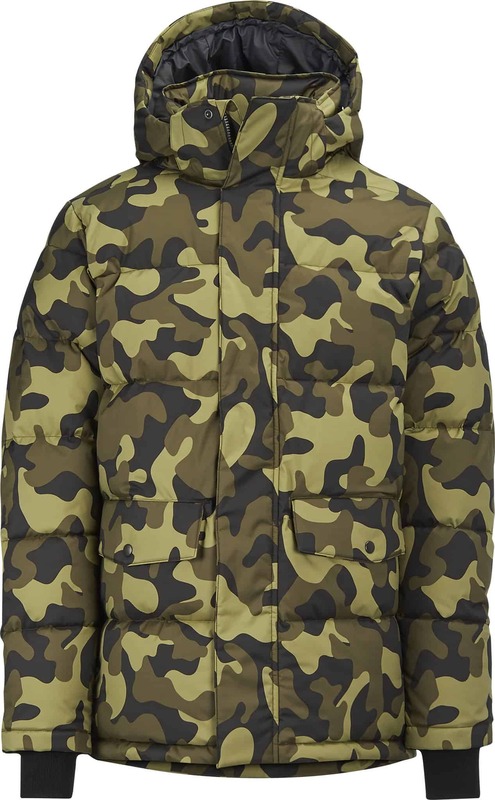 With a 750 fill power rating of Canadian duck down, Lutse is the warmest jacket in the Edition Collection. 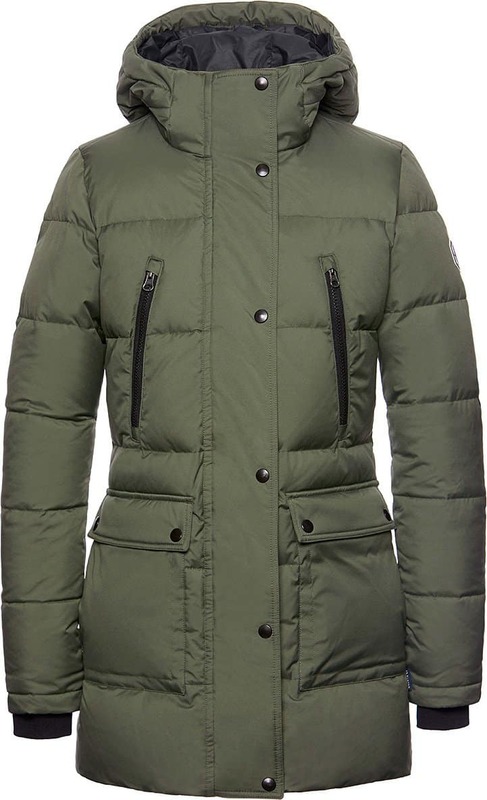 Everyone can enjoy the warmth on offer, with a unisex profile that works for her as well as it does for him. This winter, place your trust in Quebec expertise and ‘savoir-faire’ when confronting the rigours of the coldest months. With the Edition Collection, Quartz Co. proposes coats of irreproachable quality, style and warmth. Stay out longer and savour the unique charms winter offers. Author Rip SladePosted on February 6th 2019 February 8th 2019 Categories ApparelTags Quartz Co.